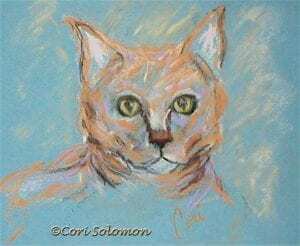 Created in a gestural manner this pastel drawing uses a colorful palette to portray this cat. This cat artwork is framed and matted. 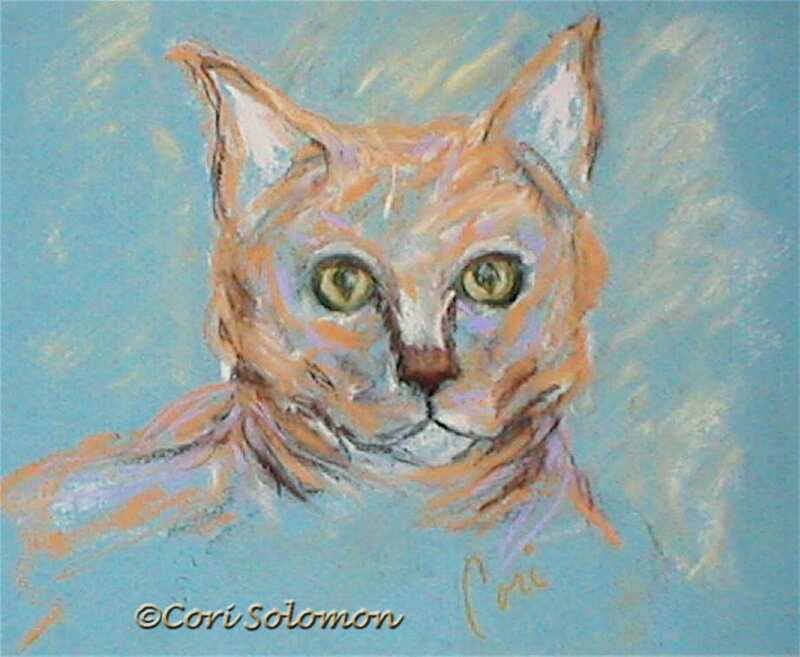 To see an image of this cat drawing framed visit Cori’s Blog. To purchase this cat drawing email Cori.